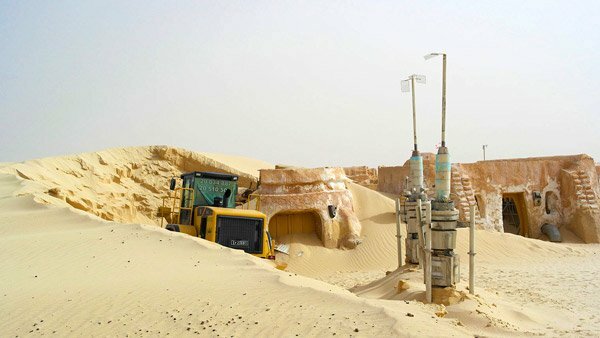 The fictional town of Mos Espa was famously seen in Star War Episode I: A Phantom Menace as the home of Anakin Skywalker and the site of the podraces where young Anakin first demonstrated his exceptional abilities. 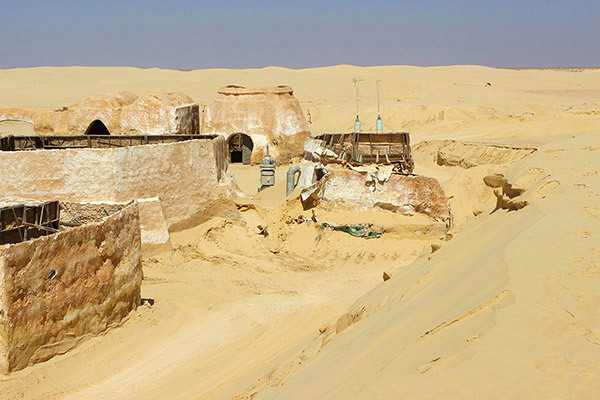 Mos Espa was built for filming in the country of Tunisia and, although Tunisia has some of the biggest Star Wars fans, it seems the desert community is severely threatened with destruction from shifting sands, erosion, and neglect. 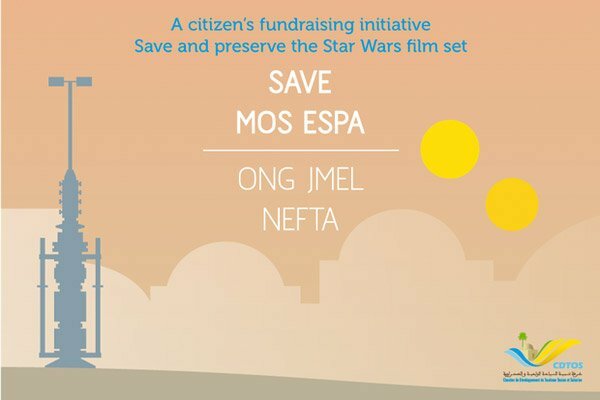 The Tunisian tourism ministry has launched a crowedfunded campaign on Indiegogo to help save Mos Espa. They are looking to raise $45,000 to restore, preserve and promote the site. Make your pledge today and earn your status as Padawan ($25), Jedi ($100) or Jedi Master ($1,000). Work has already begun to preserve the site but more is needed.